Easy-to-use lead tracking software for sales teams. With the right lead tracking management software, you can spend less time tracking, organizing, and managing your sales prospects—and focus on converting leads to customers. Goodbye spreadsheets. Hello lead tracking software. Regardless of company size or industry, tracking your leads is crucial for any team managing new business. The right lead tracking tools help you capture leads, collect the right data, prioritize the hottest prospects, and nurture them to become customers. 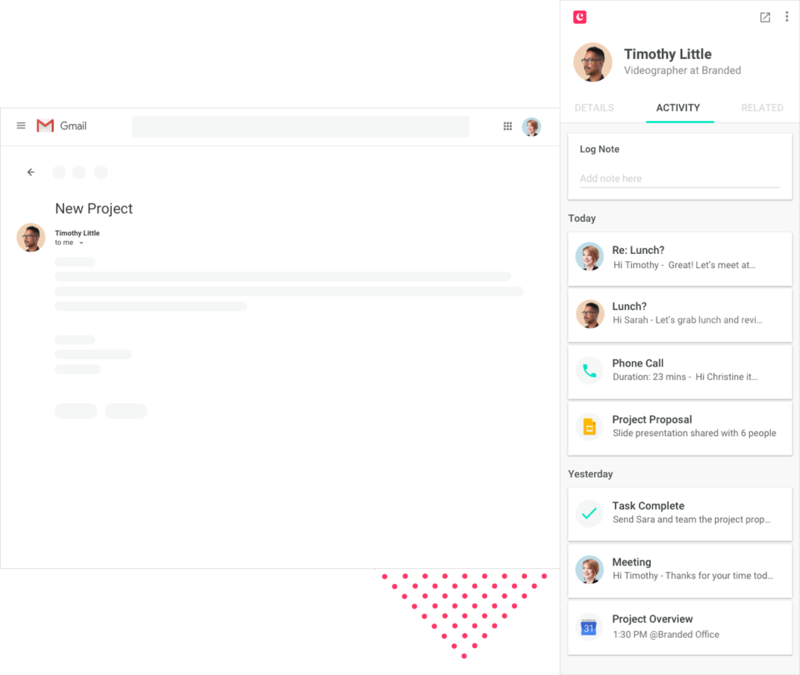 Time to ditch your messy spreadsheets that require manual updating. Use a lead tracking system that makes it easy to manage your leads until they become customers. Capture and track leads right from Gmail. Your days of managing leads in Excel spreadsheets are over. 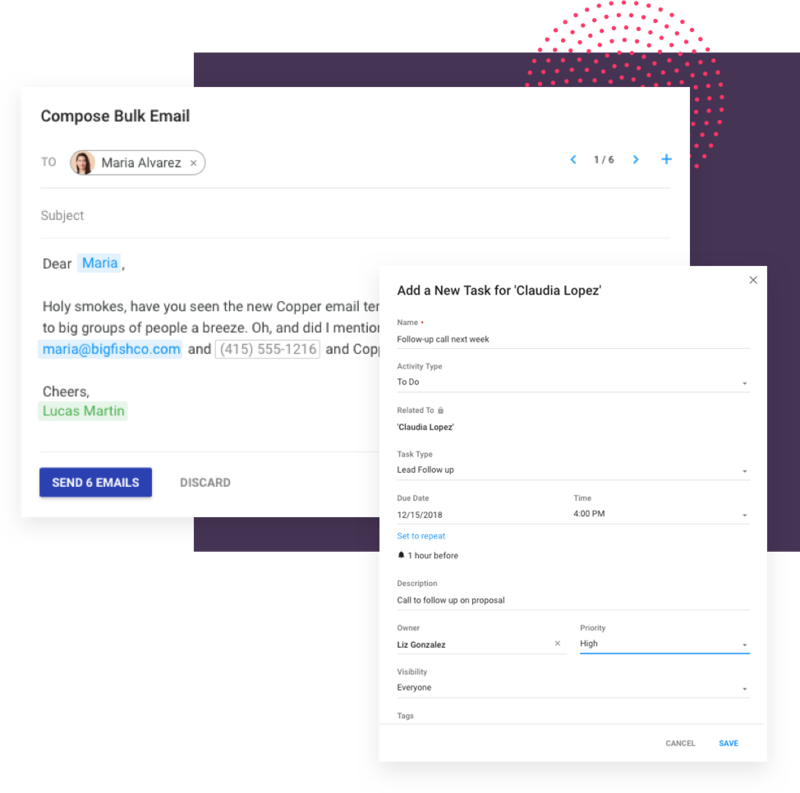 Copper integrates with G Suite so you can capture new leads’ details and track engagement right from your inbox. Another perk of working leads right from your email? Faster response rates, which means better engagement and more converted leads. Nurture leads with email campaigns. Ever fantasize about having email templates that let you follow up with leads in a click rather than repeatedly sending one-off emails? 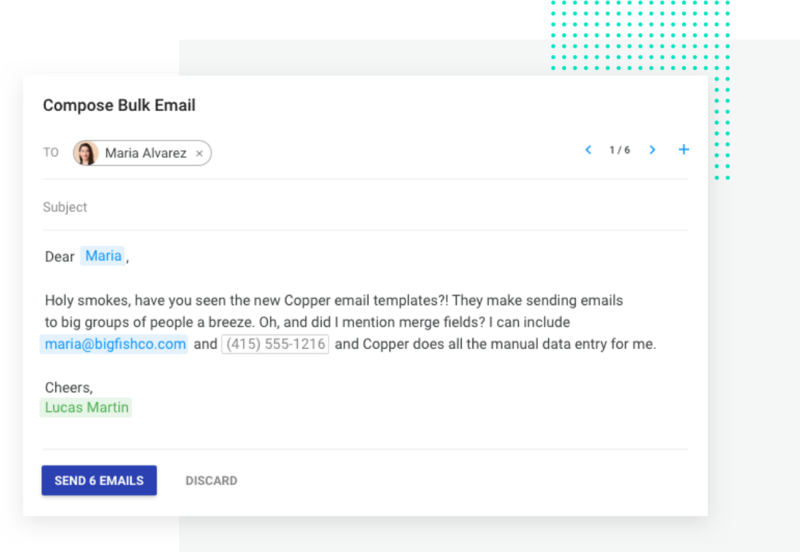 With Copper’s bulk send functionality, you can send one email to a large group of leads or contacts, saving you hours of work. Don’t worry, it’s still easy to personalize and segment the message with merge fields and filtered lists. Plus, you can track which leads have received, opened, and clicked on your emails in real time. Stay on top of hot leads with real-time alerts. Copper is your personal assistant when it comes to tracking and managing leads. Just set tasks for a specific time and date, and get alerts and reminder notifications so that you’ll never forget to follow up or lose track of a hot lead. Copper makes it super easy to convert leads to opportunities while keeping track of details and activities. 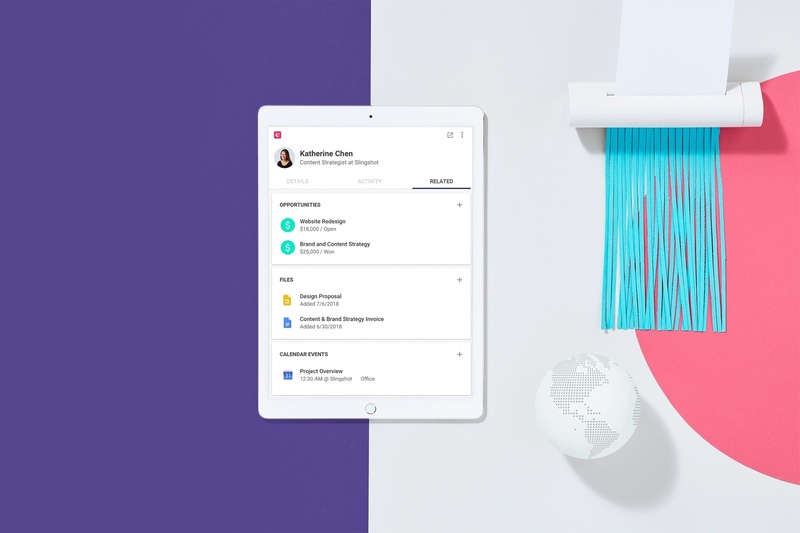 The drag-and-drop pipelines show you where leads are in your sales funnel and let you move opportunities to the next stage, get notes, account details, and interaction history in just a click. Stay organized, flag stagnant opportunities, and focus on the leads most likely to close. We made lead tracking software easier. Copper’s lead dashboards show you how your marketing efforts are performing so you can see lead sources, conversions and activities at a glance. Custom lead reports allow you to slice and dice your data to see how your leads and sales team are performing, so you can adjust your process or marketing spend. Copper allows you to manage simple or complex lead campaigns by easily segmenting and filtering target lists and scheduling email nurture campaigns. Turn more leads into customers today. Copper streamlined our lead management process. We're servicing our customers in a more efficient, productive way. Lead tracking tools that optimize your conversion rates. Copper automatically finds new leads and populates full contact details, so you can add them to the crm in one click. View critical lead insights with a set of dashboards that keep a pulse on lead information. 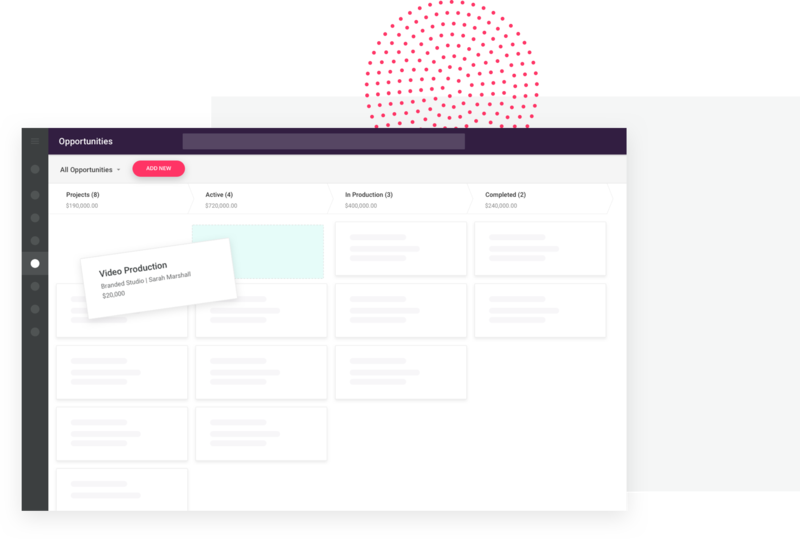 Copper sends you alerts when contacts open your emails so you can reach out while you’re top of mind and grow your sales pipeline. Ready-to-use emails to answer frequent questions, greet new customers, or promote your service with one click. 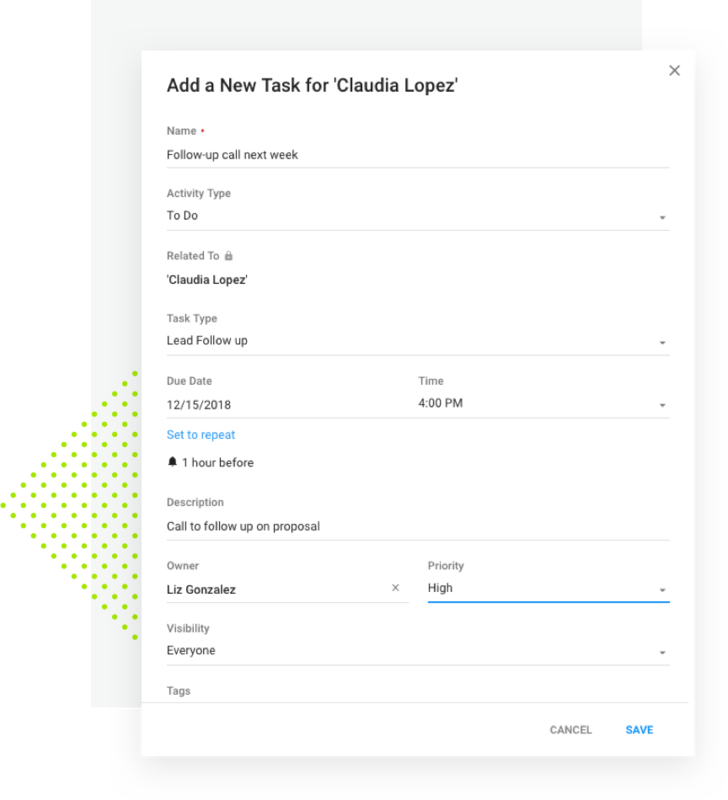 Automatically assign time-based tasks to teammates when leads or opportunities are updated. Automatically add a new lead or contact in the Copper CRM when a web visitor fills out a form. 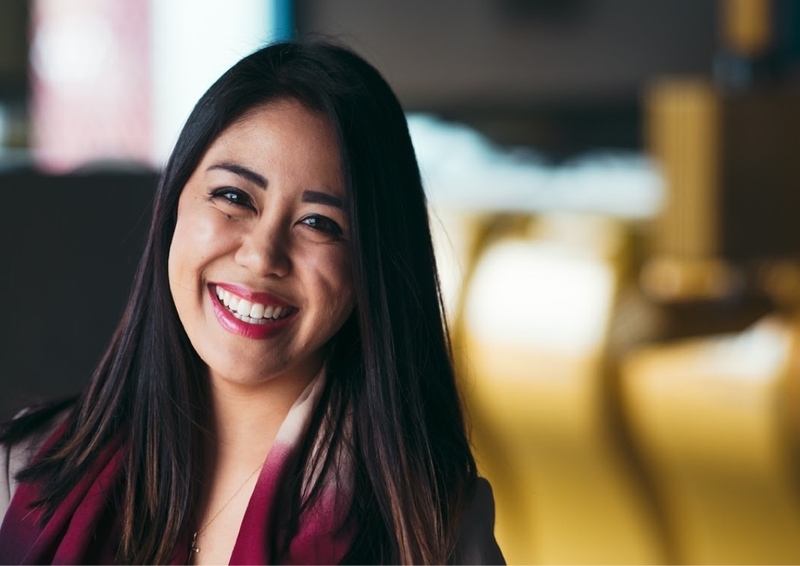 Combine your RingCentral phone system and Copper for quick click-to-dial connectivity. Lead conversion goals help track the number of leads converted on a weekly, monthly, quarterly, or yearly basis. Lead tracking minus the spreadsheets. Ditch the spreadsheets and say try Copper with a free 14 day trial!